This Sealine F42/5 with the large extending cockpit is one of the most popular boats in its class. 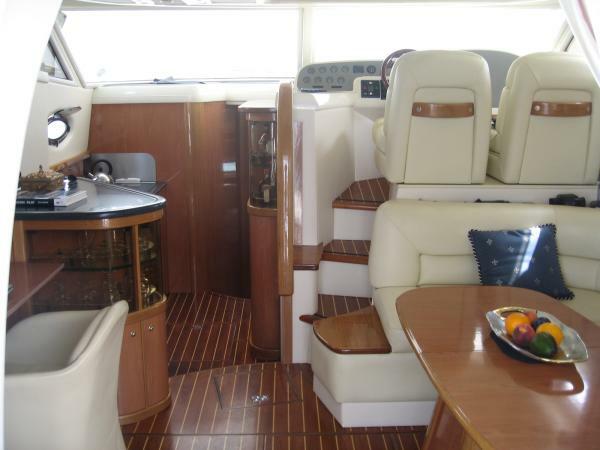 Very complete specification incl Generator, Aircon, Passerelle/Crane, Bose Soundsystem, etc Diese Sealine F42/5 mit ihrem verlängerten Cockpit ist eines der beliebtesten Boote seiner Klasse. Sehr gut ausgerüstet inkl. Generator, Klimaanlage, Gangway mit Kran, Bose Soundsystem,etc. 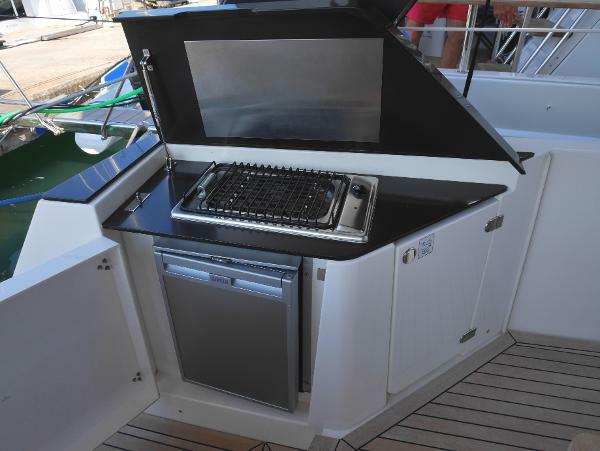 Esta Sealine F42/5 con su Cockpit extra-grande es uno de los barcos más populares de su clase. Dispone de muchos extras, como Generador, Aire-Acondicionado, Pasarela con grúa, sistema de sonido Bose, etc. 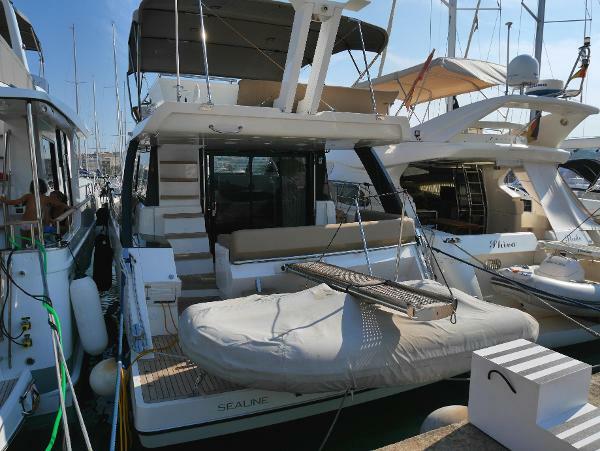 This Sealine F42 was sold new by us and spends the winter in indoor storage, it has a complete mediterranean spefication including, generator, Aircon and hydraullic gangway. all service records avialable and with only 210h engine hours. 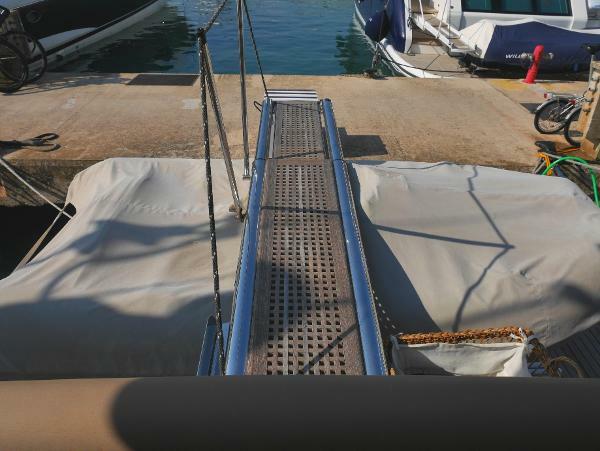 Mooring in Alcudiamar available. 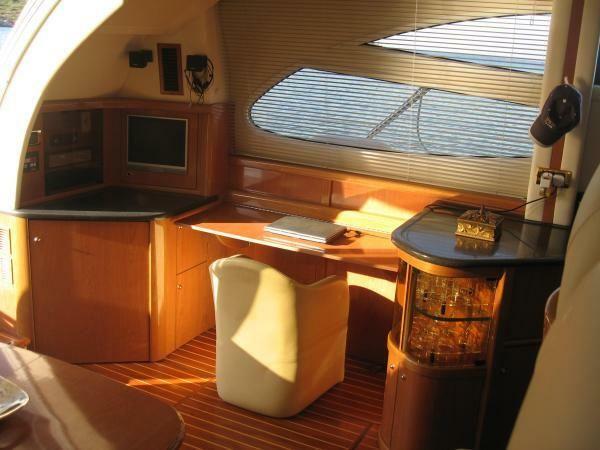 Diese fantastische Sealine F42 wurde neu von uns verkauft und verbringt jeden Winter in unserer Halle. Sie ist komplett für das Mittelmeer ausgerüstet, mit Generator, Klimaanlage und hidraulischer Gangway. Die Motoren haben nur 210 Stunden gelaufen, Es besteht die Möglichkeit einen Liegeplatz im Hafen von Alcudiamar mit zu übernehmen. 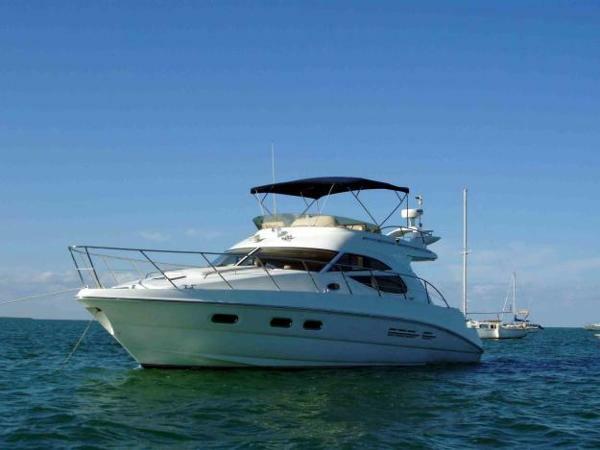 Este fantástico Sealine F42 ha sido vendido por nosotros e inverna cada año dentro de nuestra nave. Está totalmente equipado para el Mediterráneo, con generador, aire acondicionado y pasarela hidráulica. Los motores solo llevan 210 horas. Posibilidad de amarre en el puerto de Alcudiamar.